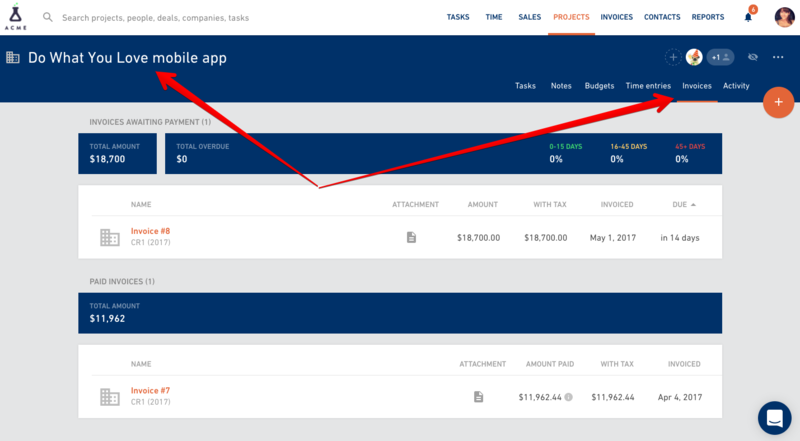 Invoices tab under Financials in the main navigation shows you the list of invoices not sent and invoices awaiting payment across the entire organization. This is the place where you can filter the list of invoices based on a budget, a project, a company or tags. 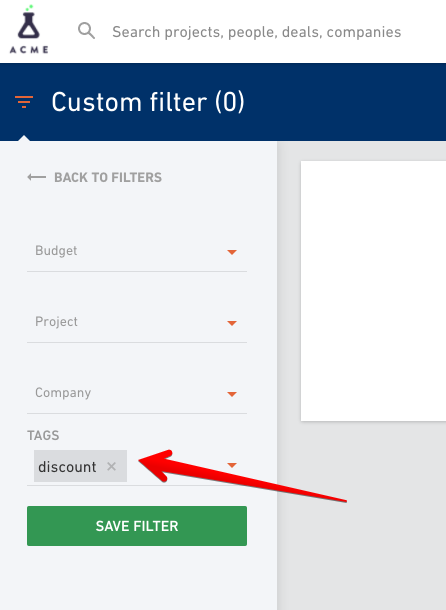 If you added tags to your invoices, you can use them now and create custom filters for easier organization. 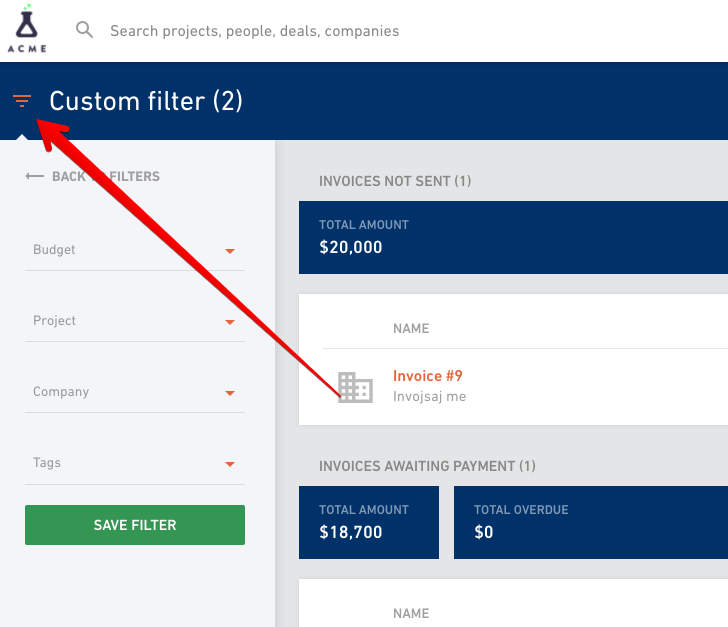 Go to a project and click on the Invoices tab to get all the invoices just for that specific project.